We’ve released a huge update to City Birds today. With a new update comes a new title: City Birds – Birdcage Blowout. We felt it sounded a lot more fun and reflects the play of the game better. 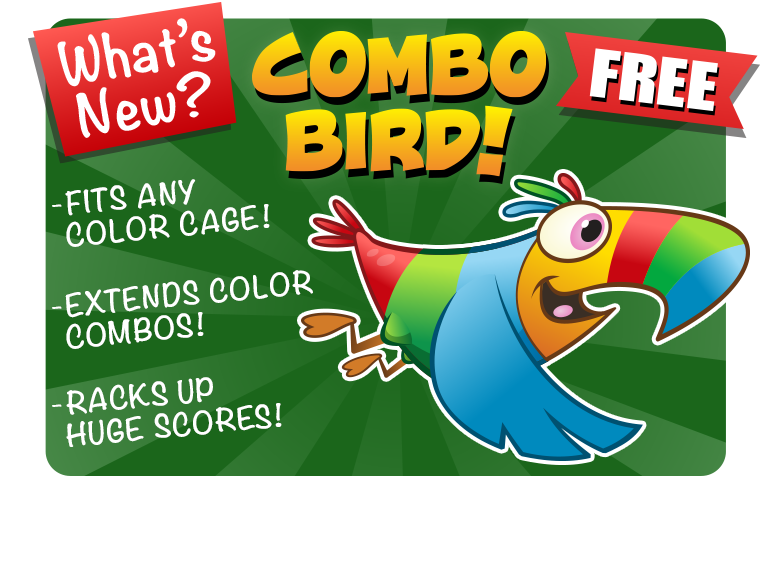 Also new is the Combo Bird! Now achieving those color combos becomes much easier which in turn makes the game more fun to play. And speaking of achieving, City Birds now has Achievements through Game Center! Finally, and best of all, City Birds is now FREE to play! So if you haven’t downloaded the game yet, download City Birds for free right now! And if you’d like to see more, check out the new preview video below. Thanks for your support!